In this DIY pore strip, gelatin pulls out all dirt and grime causing blackheads in our skin while raw milk acts as a skin softener. 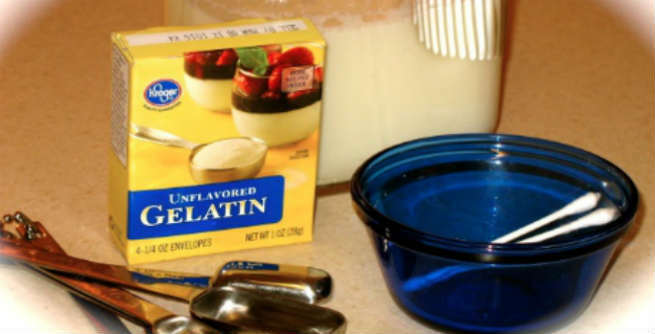 Take a small pan and pour the raw milk and unflavored gelatin into it. Place it on medium heat and combine the ingredients until a thick mixture is formed. You can also use microwave oven for this purpose. However, make sure that the consistency of the mixture is just like honey. If it seems to be too sticky or too runny, adjust the amount of milk and gelatin respectively. Also, cool down the mixture a little prior to applying. Now, dry up the skin and open up the pores by wiping your face with a warm cloth. Dip a cotton swab into the mixture and apply onto the areas of the skin that are full of blackheads. Some people even make use of makeup brushes for spreading a thin layer of the mixture onto the skin. Wait for 15 to 20 minutes so that it gets dry and stiff. Then, peel it off slowly and carefully. If you want something more like a readymade pore strip, stick the mixture to a translucent paper and go ahead. This is one of the oldest methods of blackheads removal. All you need to do is to beat both of the eggs and separate the white sections from the yellow sections very carefully. Now, either spread the egg whites directly onto the affected areas of your skin with the help of a makeup brush, or apply it to a translucent paper to prepare your own blackhead removal pore strip. Once the layer dries, pull cautiously to peel it off. This DIY pore strip will not only help you get rid of blackheads but also tone up your skin effectively. Take the raw honey and milk in a small bowl and place it in a microwave oven to prepare a thick and sticky mixture. Cool down it a little bit and then, apply onto the blackhead-affected areas of your skin by using a makeup brush. Peel the dried mixture off gently after 20 to 25 minutes. Both honey and milk helps in making our skin softer, which eventually speeds up the process of blackheads removal. • White Glue – Spreading white glue on blackheads can help you a lot in your way. You can peel it off as soon as it gets dried completely. 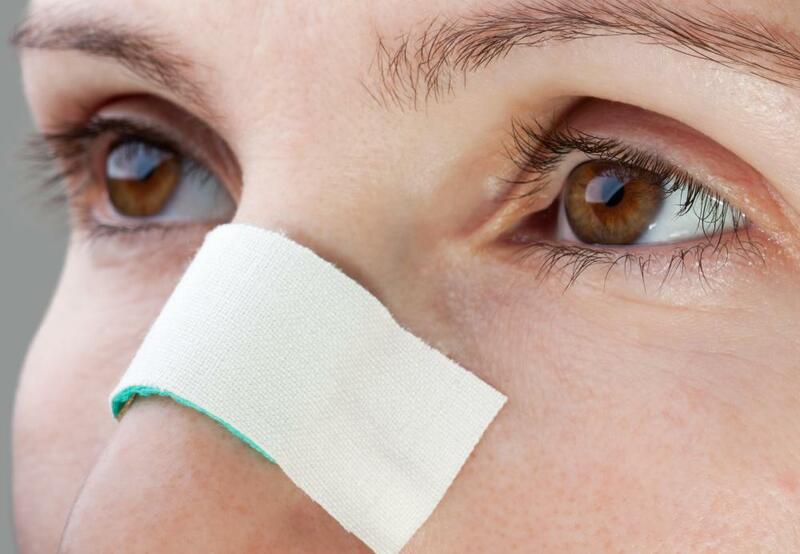 • Adhesive Bandage Tape – It is another wonderful solution for blackhead problem. Just stick it on your skin and see how your ugly blemishes go away after peeling!